We are Raquel and Sofia, twin sisters bonded by many things, including the passion for Fashion Design. We grew up together, and together we developed all kind of interests and skills, what lead us to the same university course. So, once more, we stayed together, and studied what we loved the most. Now, we maintain together to create our own brand! We are based in our beautiful country of Portugal, and you can find us at our atelier in Sesimbra, near the beach and the mountain. 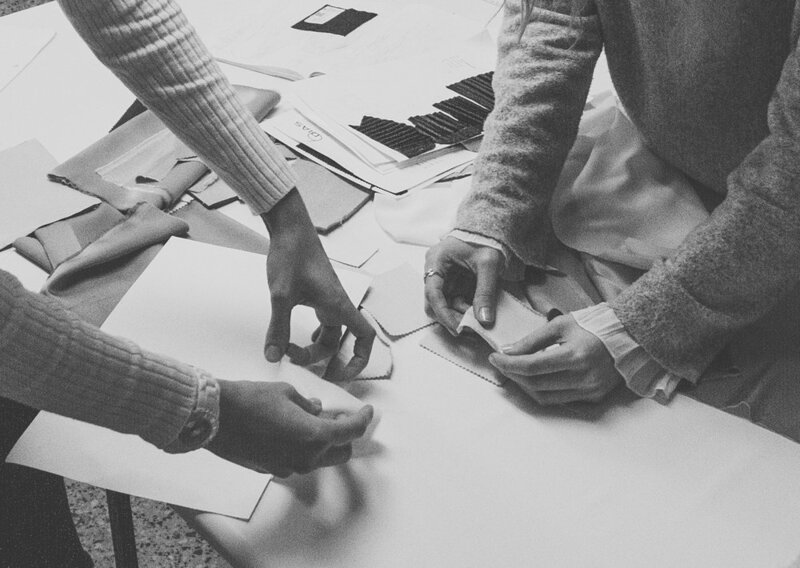 There we do all the thinking, the research, brainstorming and design of our collections. There are a lot of fabric samples around us as well as books ad cactus! The patterns are made by us and we test each one of them in old fabrics until they are perfect at our eyes. Then we cut them in the real fabric and sew it with love. If need we do the printings or embroidery work. In the end we do all the work of shooting the lookbook, campaign and product photos. We have a lot of fun doing it, as well as the marketing and promotion. When we have to contract someone to help us in the patterning or sewing processes we chose local workers. SIZ is distinguished by allying Clean and Crafty, in an urban, casual and dynamic result, and explore fabrics and techniques in the name of creative and aesthetic freedom.